Read through the following to gain background knowledge and understanding of the play before we begin reading. Remember, this play is an allegory and represents something else. We are exploring different concepts and aspects of human nature. What do you think this unit says about humanity? Before we begin this unit, you will be working in groups to complete a presentation on issues related to the Salem Witch Trials and Arthur Miller in the 1950s. You will be working in a group of 2 or 3 to create a presentation on one of the following Crucible Presentation Topics. Informational slides that present relevant information about the who, what, where, when, why, and how of your topic. Try to stick to big picture information. There is no limit to the number of slides you should/can have, however, you should not have more than 30 words per slide. Your slides should abbreviate the important ideas/points of your information so that people can take notes. You will be penalized for lengthy amounts of information on slides. No paragraphs. Your presentation should contain at least one picture per slide. Your final slide should be “the big 3.” This will be a slide with the 3 most important facts for your presentation. You must provide a bibliography at the end of the presentation. _Read the following Article by Arthur Miller and be prepared to discuss in class. This article contains important background information on what Arthur Miller went through during the communist "scare" of the 1950s. 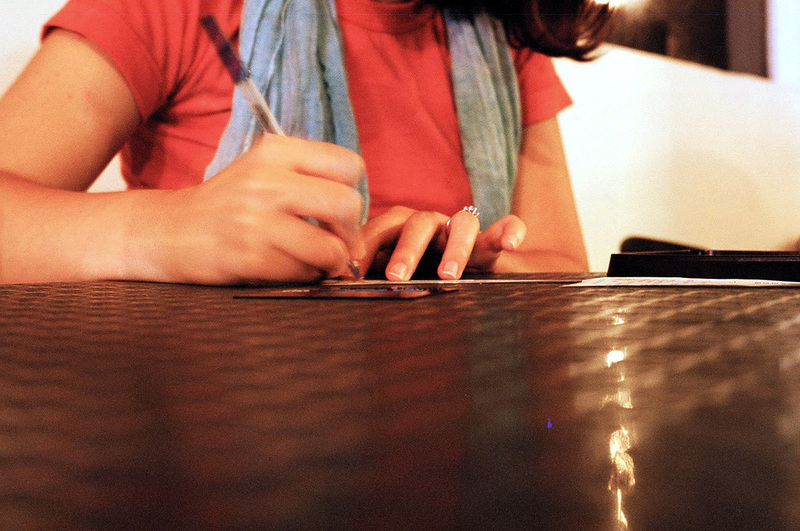 Write down 3 important facts that you learned from the article and be prepared to take a short quiz. Before we start reading the play, we must get a better understanding of the parallels between the 1950s and the Salem Witch Trials. We will first watch a short History Channel presentation about the Salem Witch Trials before we discuss the 1950s. Please download and complete the Salem Witch Trials Movie Guide as we watch the film in class. Read/overview the article about Arthur Miller and Communism. Look up information on Edward R. Murrow. After watching the History Channel presentation on the Salem Witch Trials, we will be watching the 2005 film called, Good Night, and Good Luck. This film will show what life was like in the 1950s with Joseph McCarthy and the power of fear. How are are the 1600s and 1950s similar and tied together? 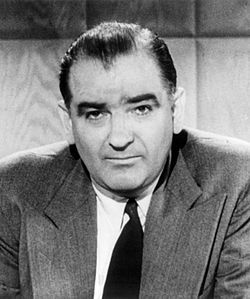 Read the following articles about "Modern McCarthyism." How do these articles seem to parallel the events of 1692 and the 1950s? "Terrorism Law, the New McCarthyism"
Listen to this excerpt from Johnathan Edward's famous Puritan sermon. Make a list of the images that stand out to you (there will be lots of descriptive imagery). How does this sermon embody the Puritan way of life? How might this type of sermon caused problems in the Puritan society? Click the buttons below to play the audio version of the Sermon. You will write a well-written one page paper about reputation. This is a personal essay so you are allowed to use "I" in your writing. Be sure to think carefully about the topic and what you want to say. Think about what reputation (name) means in the play and if the same ideas apply to your life. 2. How is reputation changed? 3. Do you personally care about reputation? 4. Has your reputation ever been changed? 5. Have you ever changed the reputation of another person? Are there parallels between THE CRUCIBLE and present day? Your task will be to find a news story from the last year that can be compared to The Crucible. Use the current events from an article or news story and relate it to the play. What are the parallels between your story and the story of the play. Be cautioned that this is a thinking exercise. Do not pick out a story about a woman who makes magical love spells and then was committed to an insane asylum. While entertaining, try to find stories that relate to the big themes in our book. Look for stories about the hypocrisy of society, how fear controls people, hysteria, witch hunts (not literal), and other important themes. Find a story and then draw connections to the play (be as specific as possible). 1. An introduction to why you picked the article (cover the theme). 2. Provide a short summary of the article. 3. Explain how the article relates to the play. Be sure that you are using specific examples for #3. This paper must be typed and in our regular paper format for the class. The paper should be double-spaced, 12 point font, and Helvetica or Times New Roman. Open the Bingo cards above in your NeuAnnotate app. You will be secretly assigned the role of one character from The Crucible. Your job will be to create a "dating profile" for your character. You need to find phrases that your character has said from the play that might allude to who they are without being obvious (ex. don't pick "Hi, I'm John Hale"). You can also pick out character traits or details for characters that don't have many speaking parts (ex. "Hi, I am a tavern owner and I lived with my husband for 3 years before marrying him, who am I?"). You do not need to repeat quotes from the book. The best way to play this game is to actually make up your own quotes but in the context of your character. Try to create some difficulty to your "profile" so that people have to think about the character in order to guess correctly. On the flip side, you should not pick information that nobody would be able to figure out. You will go around the room and mingle during the "dating session." After meeting someone, say hello, and share a little bit about your character-self. Each person gets one attempt to guess the character. If you get the answer correct, sign a bingo card square, if you get it wrong then ask for! Crucible Plot Flashcards - Use as a refresher course to the story (You will need to hit the button on the top toolbar that says "study"). You might also consider using all of your study guides to review the events of the play. Be sure to know the primary setting of each act of the play. Look over the notes you took on each of the introductory presentations. Questions from the "3 main points slide" will be added to the test. Be sure to go back and look through your character guide sheet. Not only will you need to know plot details about the characters, but you will also need to recognize character quotes. As I have said before, I don't expect you to memorize every single line of the play. However, you should be able to reasonable infer what a character sounds like based on his/her character traits that we have been discussing in class. Find a quote and ask yourself, "why did this character say this?" What is an allegory and how does it apply to this play? Why do we read The Crucible in our exploration to learn more about human nature? Think about universal ideas and themes. Why did Arthur Miller write this play? Look over your historical notes on the Salem Witch Trials from the documentary we watched at the beginning of the unit. Be sure to understand what Hysteria is and how it may have played a part in 1692 and the 1950s. Your essay for the Crucible will be very similar to writing assignment #2 on this page. Consider the fact that Arthur Miller almost used this play as a warning; If we do not learn from history, we are doomed to repeat it. Similarities between the play, historical events, and the 1950s. _ Choose any 5 characters from the book to complete the character wheel below. Remember, you should think about finding information that will help you on the final test. Think about the quotes you pick and how those convey a particular mood, tone, or detail for an individual character. Read through the requirements for the final essay. These essays will be done in class. 1. An interesting statement or quote. Try to pick a quote that is in reference to your topic. 2. Sentence about big ideas (no specifics). 3. Introduce title and author of work and provide a short summary of play and characters. 4. Sentence leading to thesis statement. Topic sentence (identifies topic). A reader should be able to read the first sentence of each paragraph and clearly identify what information will be presented. For this paper, you will identify a theme of the paper. Remember, themes are messages about what the reader will learn. Your themes will likely be more than one word. If you are confused, read the following Handout on Identifying Themes. Explain the importance/relevance/prevalence of the topic. You might consider the following questions to answer: Why is this theme important? What does the theme mean? Is it found in other literature. Why would anyone want to learn about this theme? Connect topic of paragraph to source/book. Use examples and textual support from the play to make a connection to your thesis. Remember, you are identifying important themes. Show the reader where the theme can be found. Provide the background to set up examples. Quotes. Textual evidence to support the theme you want to analyze. Quotes should connect to the theme and not simply affirm your retelling of the story (ie John Proctor represented the hero of the story. His conversation was important. "John walked over and talked to Abigail." In this quote, the writer has only supported that something has happened but doesn't support a theme of a hero). Wrap up. Be sure that each paragraph has a closing sentence. Try to have something that relates back to the overall topic of your paragraph. You should use the Editing Sheet before turning in your final paper.